Heritage Week. Meet at the Hero Mine in Glendasan at 7.30 p.m. on Monday 25 August for a fascinating two-hour long walk through the mining heritage of Luganure. Led by Dr. Sharon Schwartz and others, this event is jointly organised by Wicklow Uplands Council and Roundwood Historical Society. Booking is not required and admission is free. Further information can be obtained by phoning 01-2818406. Our next Car Boot Sale at the Brockagh Centre takes takes place on Sunday 7 September 11 a.m to 4 p.m.. A great opportunity to pick up a bargain. Lots of items new or nearly new. Also great home-baking and crafts. Vans must be booked in. For further details contact Janette on (0404) 45600. Wonder Years at the Brockagh Centre is now taking enrolments for September. Full-time opening hours 7.30 a.m. – 6.30 p.m. Montessori, Pre-School Toddler Group, Breakfast & After School Cub. Government funded Childcare – ECCE, CETS, ASCC. Please contact Valerie Duffy (Owner/Manager) on 085 7064990 or email [email protected]. Wicklow Mountains National Park. Family Fun Days will take place in the Education Centre each Thursday until 21 August (2 to 4 p.m). Parents are invited to bring their children (aged 4 to 12 years) to a mixed afternoon of nature-based activities. Please note that an adult must stay with the children, and be prepared to help. No dogs are allowed. Booking is essential and will be taken from 9 am one week prior to each session on 0404-45656 (Monday to Friday). The events are free to attend but the Upper Lake car park (Wicklow Co. Co.) has a 4 euro charge. For Heritage Week join local poet and writer Martin Swords of Glendalough Guided Walks at 4 p.m. on 29 August for a two-hour gentle, interesting “Walk and Talk” through the Monastic City to celebrate Heritage Week. The event covers the history of Glendalough, the legends of Saint Kevin, folklore, place-names and everyday life in the monastic settlement. 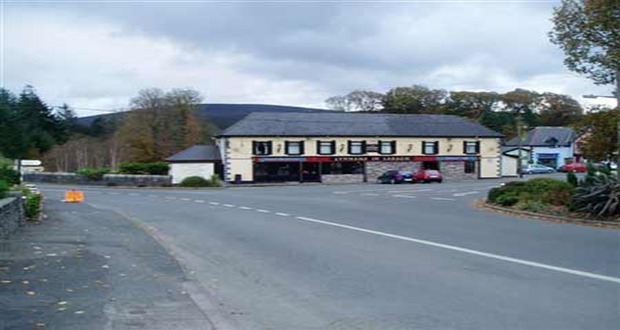 Meet at reception in the Glendalough Hotel. Booking is not required and admission is free. For further details please contact Martin on 087-2600548. Footfalls Step Out, our walking & back to basics weight loss program continues every Monday & Thursday @ 7pm. Why not join us on our walks; it’s a great way to enjoy our beautiful surroundings in a fun atmosphere. Cost €5 per week. Continue or begin your weight loss journey with Footfalls Step Out. Contact Sarah on 0876235510/email: [email protected] for more information.